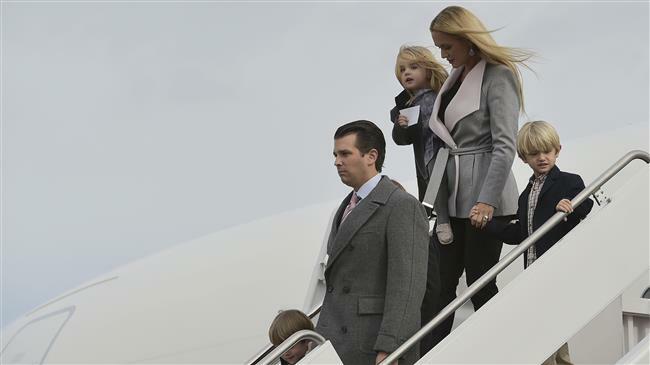 The wife of Donald Trump Jr., the eldest son of US President Donald Trump, has filed for divorce in New York, according to court records. The statement was provided by the Trump Organization, the president’s business empire, which his son helps manage. Further details were not immediately available on the uncontested divorce filing by Vanessa Trump in a New York state court. She and Trump Jr. have “enormous respect” for each other, according to the joint statement, which also asked for privacy. The couple were married in 2005 and have five children. In recent months, Trump Jr., 40, has become enmeshed in an investigation of possible collusion between his father’s presidential campaign and Russia in the 2016 presidential election. The president has denied any such collusion. Trump Jr. arranged a 2016 meeting between a group of Russians and members of his father’s campaign after an intermediary said the Russians offered damaging information about Democratic presidential candidate Hillary Clinton. “I love it,” Trump Jr. responded to the intermediary in an email. He has played a key role in the Trump Organization since his father entered the White House in January 2017. The president said he would maintain ownership in his hotels, golf courses and hundreds of other businesses but hand off control to his two oldest sons. The Trump Organization’s website describes Trump Jr. as an executive vice president, like his brother Eric Trump. Last month, Vanessa Trump was taken to a New York hospital after she opened a piece of mail containing a threat and a white powder that was later determined to be non-hazardous. Federal prosecutors in Boston earlier this month charged a Massachusetts man with sending the threatening letter.